The Atelier series has been a consistent name in gaming for over a decade despite not always being the most recognizable series. But for those who are aware of the franchise, a new entry in the series is exciting news, especially a release date for fans of the series in the West. 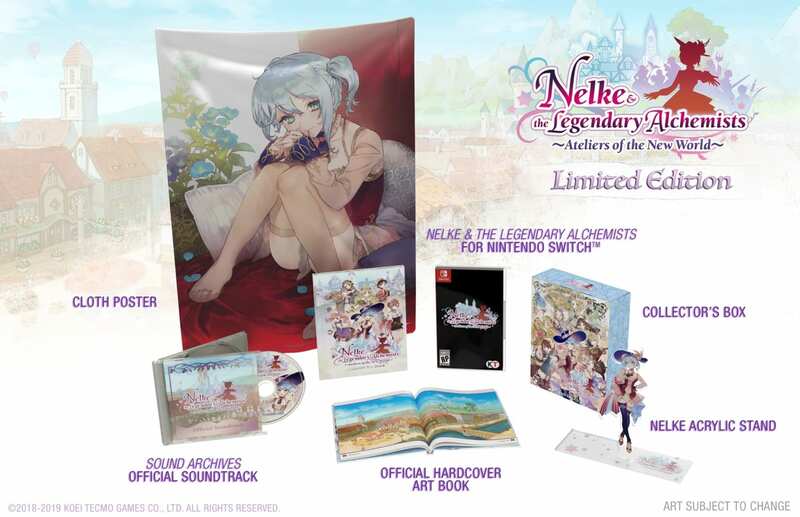 Koei Tecmo America has revealed the next game in the series, Nelke & The Legendary Alchemists: Ateliers of the New World, is scheduled to arrive for the Nintendo Switch, PlayStation 4, and PC on March 26 in North America. Europe can expect the game on March 29. Japan will see a release on Jan. 31, but instead of a PC release, the game will come to PS Vita. The newest game in the series will receive a physical release on all consoles, while the PC release will be exclusively available digitally via Steam. This game has players assume the role of Nelke von Lestamm, a young noblewoman who is tasked with transforming the quaint village of Westwald into a prosperous city. In order to achieve this goal, you will need to spend money to develop buildings and expand the size of the city. Money can be earned through the businesses that Nelke runs, or by selling synthesized items for cash, akin to previous Atelier titles. Players will be able to explore the areas outside of Westwald with alchemists wherein Nelke will be able to collect raw materials. Nelke however will need to entrust one of the many alchemists in the town with the task of synthesizing resources into worthy goods. Each alchemist has their own of set of specialties which will allow them to improve item creation depending on what task you provide. It is worth noting that Nelke & The Legendary Alchemists is a side game in the Atelier series. The next main entry is expected to arrive sometime in 2019 as well for the Switch, PS4, and PC. Nelke & The Legendary Alchemists will arrive on March 26 for North America and March 29 for Europe.